James Doyle joined Godolphin as a retained jockey in January 2015. Born in Cambridge, James grew up in a racing family and was surrounded by horses from a young age. He made his racecourse debut at Goodwood in June 2004 and rode his first winner at Wolverhampton the following year. In 2006 and with 73 victories, he narrowly missed out on being crowned Champion Apprentice in Britain. 2012 and 2013 were standout years for James, who rode a host of high-class winners around the world, including his first G1 win aboard Cityscape in the Dubai Duty Free at Meydan. James Doyle pictured at Warwick Farm in Australia where he spent a stint riding for Godolphin in 2016. James recorded his first Group victory for Godolphin aboard the Saeed bin Suroor-trained Local Time in the G3 Oh So Sharp Stakes at Newmarket in October 2014. He recorded his first Classic success for the stable on talented filly Local Time in the UAE Oaks at Meydan in February, 2015. 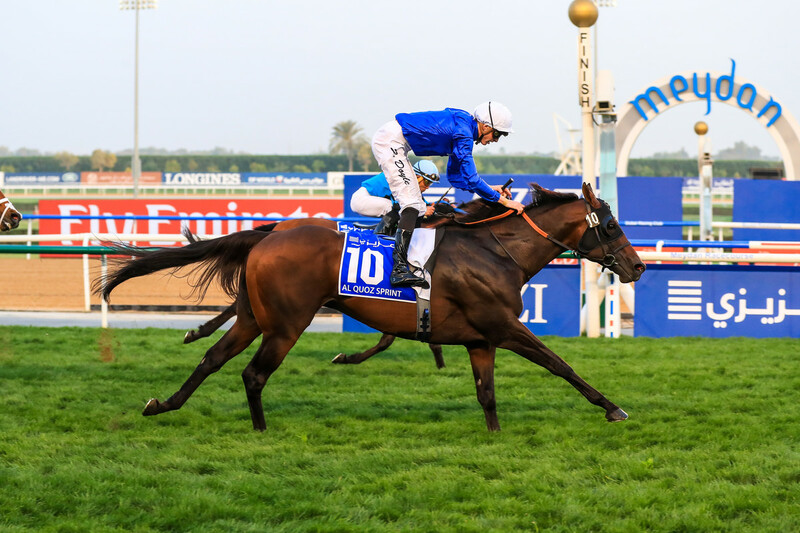 James has ridden a host of winners for Godolphin around the world and steered Jungle Cat to an impressive win in the G1 Al Quoz Sprint on Dubai World Cup night at Meydan on Saturday, 31 March, 2018.